We mentioned previously here on the eoutlet blog, that Apple were due to release their latest iPhone on the 4th October 2011. Well, true to form, Apple kept it under wraps until the final moment and after much anticipation launched the brand new iPhone 4S into the world. After all the speculation over the name, design and capabilities of the new iPhone, Apple haven’t disappointed with what is the most impressive iPhone to date. Similar to the launch of the iPhone 3GS back in 2009, the iPhone 4S is a better and more comprehensive version of its predecessor, the iPhone 4. Not opting for a completely new iPhone (or the “iPhone 5”) as speculated by many, Apple have taken everyone by surprise with this upgrade. Which begs the question, are Apple just tempting us with this new version with the aim to bring out an iPhone 5 soon? In the case of Apple, anything could be possible. So, with all this in mind, what is the iPhone 4S actually like? As predicted, the iPhone 4S is pretty much a carbon copy of the iPhone 4, with no changes to design or to the screen size. However, Apple’s Marketing Vice President Phil Schiller argues; “Don’t be deceived because inside it is all new.”* Hammering home that while the outer may be no different, the operating system will be far better. Operating on the latest Apple software, iOS 5, the iPhone 4S will not only be smarter and faster, but will also allow you to use over 200 new features including Notifications, iMessage and the all new Newstand which brings together all of your magazine and newspaper subscriptions in one swanky place. The iPhone 4S also features an all-new video camera in 1080p HD, with an 8-megapixel resolution camera too boot. Apple have also thrown in a Dual-core A5 chip, making the iPhone 4S literally one of the fastest smart phones available. Being ultra quick and responsive, the iPhone 4S will be much more battery efficient and will launch apps and games in no time and all, giving you more time to play, serf, chat and do whatever else you need to on you iPhone 4S. Apple also promote that the iPhone 4S has a much better wireless connection and has the ability to send and receive data much faster, with a significant improvement in the signal reception. However, Apple’s one big selling point for their iPhone 4S is Siri. Marketed as the, “The intelligent assistant that helps you get things done.”**, Siri is set to be the most exceptional feature of the new iPhone. Designed as a voice-activated feature, Siri allows you to set reminders, send messages and make phonecalls, all done by talking to your iPhone 4S. Apple state that if you ask it a question, it will find the relevant information on your iPhone 4S and take action. This can be as simple as calling someone or even making a note in your calender as well as setting reminders for you and sending text messages. It’s a very effective tool and will make using your iPhone 4S and all of its features to their full advantage very time-saving and efficient, if you’re running late and don’t have time to stop and compose a text, tell Siri to do it for you. Simple! The launch of the Apple iPhone 4S also coincides with the launch of Apple’s iCloud. Storing all of your music, movies, contacts and important information, iCloud is the ultimate feature for any Apple enthusiast. Allowing you to access and store all your information on any Apple device, all synced and backed-up wirelessly. The iPhone 4S will be available to purchase from the 14th October, and is sure fire to be a Christmas favourite. What’s even greater about the iPhone 4S is that it will fit all iPhone 4 cases already in existence, so you can protect your new iPhone 4S right away. 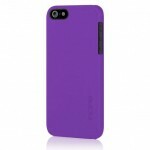 Check out our range of cases suitable for the iPhone 4S here.